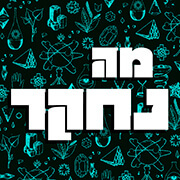 איך להצמיח סטארט אפ? 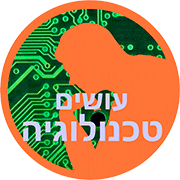 איך להקים עסק מאפס ולגרום לו להמריא? 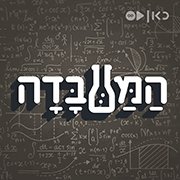 איך להגדיל את כמות המשתתפים באפליקציה? בשאלות האלו מתחבטים לא מעט אנשים שרוצים לטפס אל הפסגה, אך לא תמיד יש עליהן תשובה מבוססת. 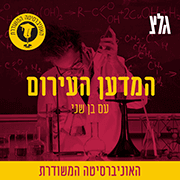 בדיוק בשביל אותם אנשים נוצר הפודקאסט הזה שנועד להדריך אתכם שלב אחר שלב באמצעות מתן כלים קונקרטיים ופשוטים. For most shoppers, fair trade, organic, non-GMO products means paying a premium. And the amount of choices? Endless. But conscious consumerism doesn't have to equal uninformed decisions and an empty bank account. Brandless, which charges $3 for a variety of products, is changing this equation. 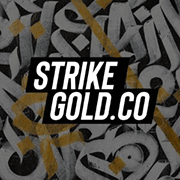 Founder Tina Sharkey talks about her mission to democratize access to high-quality goods, redefine what brand means, and scale the Brandless business alongside its community. Culture happens. Whether you plan for it or not, all companies have a culture. An no one knows more about how culture works than New York Times’s best-selling author Daniel Coyle. Daniel talks about his latest work, The Culture Code, where he goes inside the world’s most successful organizations - Pixar, San Antonio Spurs, SEAL Team Six, and more - to find out what makes them tick. It was the largest offer in Shark Tank history. Mark Cuban offered Arum Kang $30 million for her dating app Coffee Meets Bagel. But she and her sisters swiped left, and that decision made them the targets of keyboard cowboys who labeled them “foolish” and “greedy”. There was a specter of self-doubt, a discovery of the company’s real values, and a final rise above all the noise. Three years later, Kang feels zero regret for her decision to pass on the Shark’s tantalizing offer. Davis Smith grew up like every other kid -- spearfishing piranhas in the Amazon, eating wild coconuts for snacks, and taking family adventures around Central and South America. During these early years, Davis also saw the abject poverty that others lived in first-hand. So he founded Cotopaxi, an outdoor brand committed to alleviating poverty and empowering communities through entrepreneurship. Joe De Sena founded Spartan with a single purpose: to change people’s lives. But growing the company has been the toughest race of Joe’s life. Its meant persevering through a near death experience, pivoting after a decade of failing business models, and setting one of the most ambitious growth goals ever. Check out HubSpot’s new documentary BRILLIANT, which tells the untold stories of brilliant people and the things that make them human. 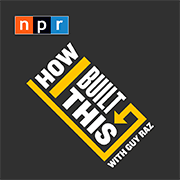 The first episode follows Joe De Sena and his journey of building Spartan. [News] Amazon has officially announced the locations for the company’s second headquarters -- Crystal City, Virginia, and Long Island City, New York. But with the announcement comes controversy. HubSpot’s resident news writer Amanda Zantal-Wiener joins us to break it all down. Read Amanda’s news article on the HQ2 announcement here. If there’s one thing everyone can agree on, it’s how much they loathe insurance companies. And yet, despite every technological revolution, the insurance industry continues to operate basically the same way it did in the Middle Ages. Dan Schreiber, co-founder of Lemonade, saw the fundamental wrong of insurance: If people don’t get paid for claims, insurance companies make more money. So he aligned the company with its customers and created a bot to make the process surprisingly more human. [Mini Episode] The robots have arrived. Welcome! First stop: the kitchen. So we asked, is that really all that bad a thing? We sit down with robot restaurateur Michael Farid of Spyce to hear about why standing over hot stoves, endlessly stirring, chopping, and plating food might just be a thing of the past. After founding and stepping away from Moz, Rand Fishkin finds himself back in the startup world. Only this time, he’s doing things differently. 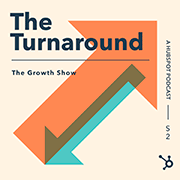 In this live recording from INBOUND 2018, we talk to The Wizard of Moz about why he now refuses venture capital, how he’s helping SparkToro grow better, and what it’s like to play Dungeons & Dragons with Anita Sarkeesian. Beauty is a $450 billion industry. But traditionally, communication on beauty routines and products came from companies, not other customers. That is, until a little blog named Into the Gloss was launched. Using customer insights, the blog launched Glossier -- it’s own line of beauty products. Ali Weiss tells us how Glossier is giving the makeup industry got a much-needed makeover.